To say it’s been a long and winding road for Johnny Stanton would be an understatement. I first met Johnny when he was a star dual-threat quarterback for Santa Margarita High School in Southern California in 2012. At the time, Santa Margarita was ranked No. 1 in the nation by several national ratings services. 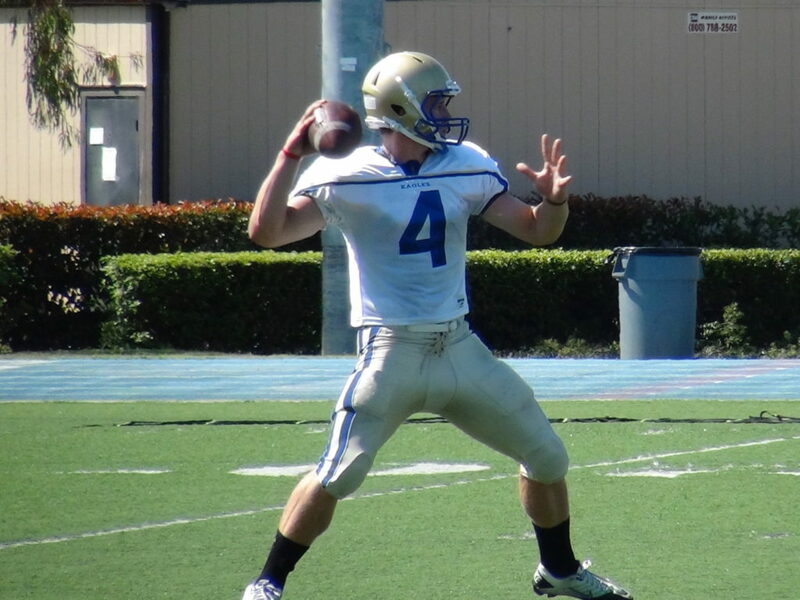 Johnny Stanton at Santa Margarita, fall camp 2012. After stops at the University of Nebraska, Saddleback College (JUCO) and UNLV, Stanton now finds himself in Minnesota in his first-ever NFL training camp. However, the former 4-star college football prospect is trying to make the NFL as a fullback. Why a fullback? Well that needs a little explaining. Quite simply, Stanton thought he’d have a better shot if he expanded his skill set. Heading into his Pro Day, he decided to train as a quarterback, linebacker, tight end and long snapper. You’ll notice I didn’t say fullback. The Vikings invited him to their rookie mini camp where they worked him out as a tight end. Stanton impressed the Vikings enough to invite him on to the 90-man training camp roster. However, instead of wanting him as a tight end, the Vikings told him they wanted him as a fullback. Last Saturday, Stanton played in his first-ever NFL preseason game against the Denver Broncos. On the opposing sideline was his former Santa Margarita high school wide receiver River Cracraft. You can listen to what Johnny thought about playing against River and his NFL journey on the 2 Minute Drill podcast.